NORWOOD PARK — Although Bob Zavell doesn't fly kites, he's made a living off selling them to enthusiasts from all over the Midwest who do. Zavell is president of Chicago Kite, the only retailer of the flying objects in the city and state, according to the Kite Trade Association. Zavell, a West Side native and Crane High School graduate, has owned Chicago Kite for 22 years. The store, which sells all sorts of sky-high toys, has been located at the former North Pier Downtown, suburban Oak Park and, for the last seven-plus years, at 5445 N. Harlem Ave. in Norwood Park. "As a kid, I think I flew a kite once or twice, " said Zavell, a Skokie resident. "It's turned out to be a very nice store and very profitable." A $4, 000 kite that's 100 feet long. Bob Zavell of Chicago Kite said he's sold a few of them in the 22 years he's owned the business. For Zavell, the kite shop is truly just a business venture. In 1992, after selling a previous business, Zavell wanted to find another to run. After looking at some 100 companies, Zavell's wife, Dolly, said she noticed that there was a store called Harbor Kite at North Pier for sale. "We called the owner, looked at his books for three months and wound up buying it, " Zavell said. Harbor Kite was successful at North Pier largely because of tourists, many of whom would have a bit to drink at nearby bars and then "spend 0 on a kite, " Zavell said. When North Pier began a financial decline overall, Zavell moved the store to Oak Park and changed the name to Chicago Kite because there were no harbors there. He spent 13 years in the western suburb before coming to the Northwest Side spot, which is next to the Kennedy Expressway and minutes from O'Hare International Airport. Zavell said people would be amazed "what people stop here, where they're from and where they're going." Kites at Chicago Kite run from $4, 000 for a 100-foot-long custom-made octopus to paper-bag kites that cost a few bucks. Zavell said his top seller is a 4-foot delta-shaped kite that goes for $14.99. 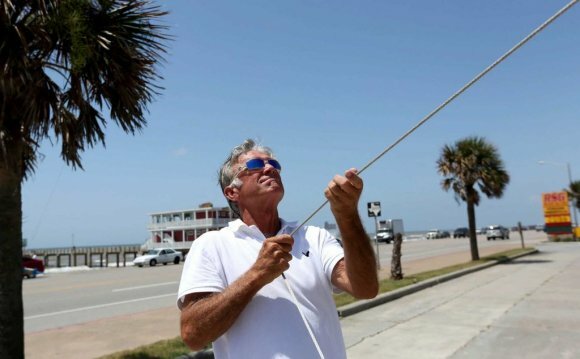 Zavell stressed that if he sold only kites, he'd be out of business, so he features other items like radio-controlled airplanes, helicopters and sailboats, model rockets, yo-yos and a variety of flags. One customer Tuesday bought a Chicago Bears metallic decal and a Blackhawks flag. Another older shopper stopped in to buy a beginner kite for his grandson.